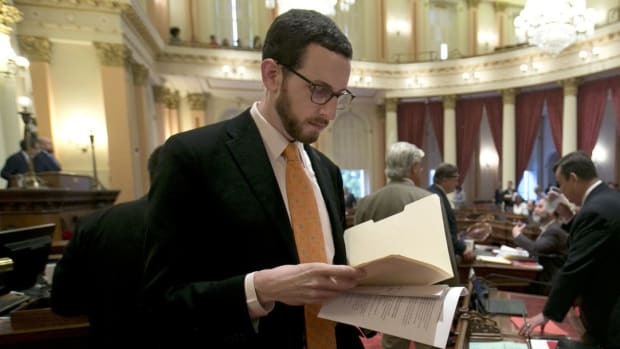 Scott Wiener, who represents San Francisco in the California State Senate, kindly agreed to talk to the Banter this week about his plans to restore net neutrality. 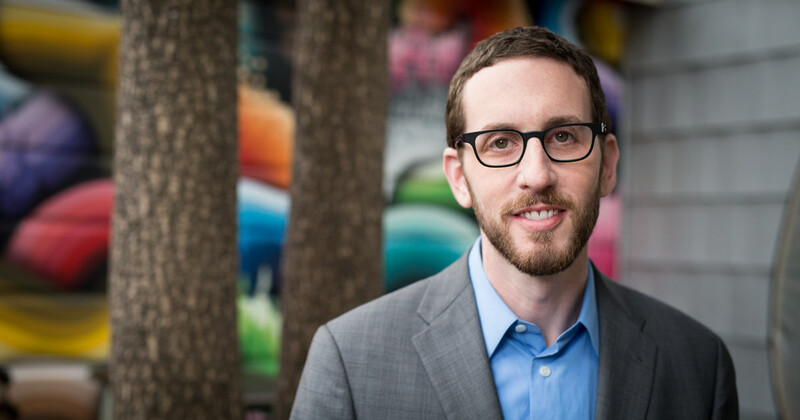 Since he was first elected to the San Francisco Board of Supervisors in 2010, Scott Wiener has proven to be a highly effective legislator, passing bills regulating the environment, housing protections, and the LGBT community. Now, as San Francisco&apos;s representative in the California State Senate, he is working to restore net neutrality in the Golden State. 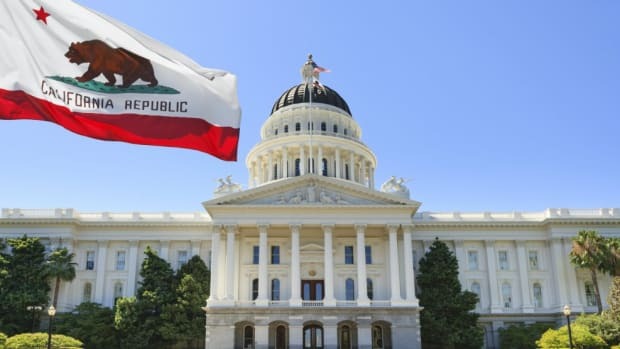 His bill, SB-822, promises to protect consumers&apos; rights to a free and open internet and has been endorsed by officials such as former FCC chairman Tom Wheeler and California Attorney General Xavier Beccerra. The bill has passed hearings from the state Energy and Judiciary Committees, and will face the Appropriations Committee this month before moving to a floor vote. In our conversation, he explained the need for this bill, the process involved in drafting it, and why the arguments made against it from the internet service providers (ISPs) don&apos;t hold up. 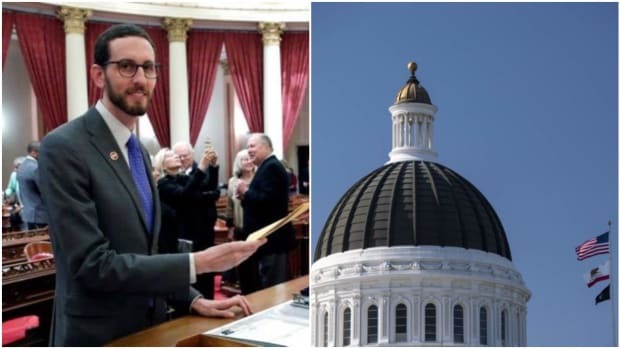 NOTE: Originally published as a Members Only piece on Friday, I have decided to remove my interview with Scott Wiener from behind the paywall to the main site, as I feel this is an important story that people both in California and outside it should be aware of. 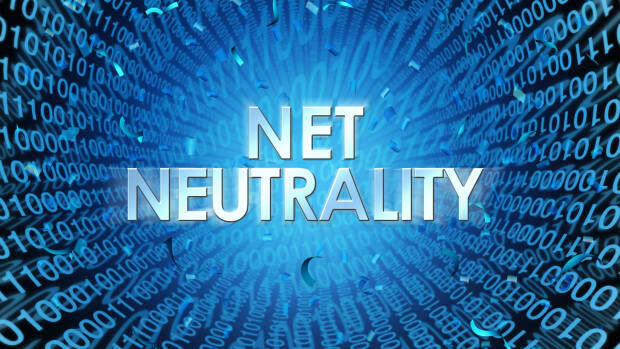 JF: The U.S. Senate missed their chance to repeal net neutrality by the April 23rd deadline. The FCC’s rules should have gone into effect by now, but it feels like nothing has changed. The analogy I use is global warming: you can tell someone that everything is getting worse, but if they can’t feel it from where they are, it’s like everything’s the same. Given this, why should the average consumer fear a world without net neutrality? SW: People may not always notice it. The ISPs are not stupid. There are plenty of examples in the past of outright blocking and obvious slow lanes and fast lanes, so they&apos;re very aware that the world is watching them. Right now, they’re going to be very careful not to do anything obvious, but they are continuing to do zero rating and have abusive interconnection agreements saying to companies like Netflix, or smaller companies, that if they don’t want their data to get all jammed up, they’d better pay up. All that stuff is already happening. For the average consumer, they don’t always see it. They know that they probably have to pay more for Netflix or other services because those companies are forced to pay for access to customers. But it’s also about the future, knowing that these things can happen. They have happened in the past: websites have been blocked and slowed. And they can happen in the future. I think as a consumer, you should want to be confident that you get to choose what websites you get to go to as opposed to having the ISPs either choose for you or manipulate you into going to their favored websites. Explain to me exactly how these ISPs would abuse their power without net neutrality regulations. The most severe and obvious way they can abuse their power is by blocking someone’s website or preventing people from going to particular websites. They can also require payment for fast lanes and then punish those who don’t pay by relegating them to slow lanes. They can require that you have to pay in order to access their customers and that if you don’t pay them, you can’t access their ISP customers. Then there are some less obvious abuses, one being zero rating, where an ISP says, “If you use my service instead of my competitor’s service, or a service where you’re paying me money, it doesn’t count against your data. But if you use other services, it does.” That is a competitive and monopolistic practice that abuses the ISP’s position as the owner of the delivery network. We’re trying to take a comprehensive approach in the bill and address all of these abusive practices. So in their world, they would force me to go to their version of Netflix instead of regular Netflix because it won’t count against my data plan or charge me as much? 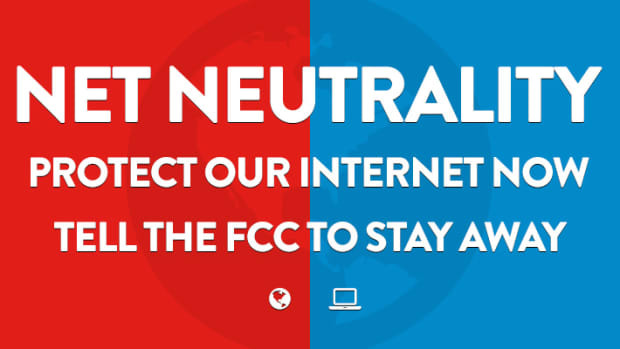 After the FCC chose to repeal net neutrality, when did you first decide something had to be done? Well, in the months leading up to the repeal last year, I had become very concerned about what seemed likely to happen. I started having conversations with advocates, academics, others, and as I looked into it, we realized we needed to step in and pass something here in California. So on the day that the FCC voted to repeal net neutrality, I announced that I would be pursuing a bill and we took it from there. Given that you represent San Francisco, how close are you to the tech community? Do you speak with representatives from the big companies and the small startups? Yes. Being in San Francisco, there’s a lot of tech in our community, not just the big companies but also small companies and entrepreneurs who haven’t gotten their company off the ground yet. There are people pursuing all kinds of ideas. One of my concerns is, without net neutrality you create major barriers to new companies entering the marketplace. 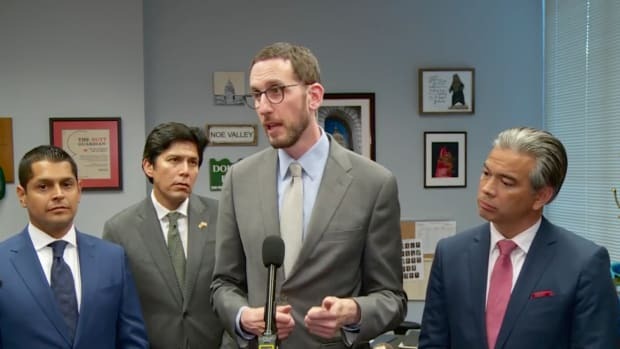 We’ve spoken with several companies in San Francisco who are very, very concerned whether through abuse of interconnection demands or zero rating, that they are going to get pushed out. Beyond the business community, we know blocking has been used to shut down labor organizing. 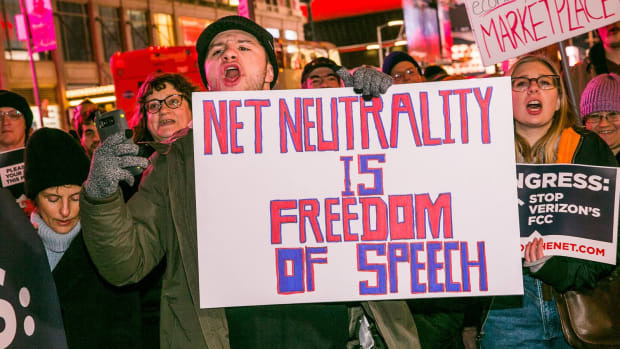 We rely on the internet for all sorts of first amendment activities and it’s in everyone’s interest for the internet to be open and available in an equal way to everyone. How are the broadband companies working to help low-income residents have internet access, and what are you doing to work with them? Well, we have various programs in California, including one called The Advanced Services Fund, which focuses on communities that lack access, not just low-income communities but also rural communities. The initial version of the bill conditioned that funding because the state provides it to ISPs to incentivize and build out in communities that are not necessarily as lucrative. We had originally conditioned that funding on net neutrality but took that out because it wasn’t necessary. We have so many other hooks and we didn’t want to do anything to jeopardize the build-out in low-income communities. We do have a fairly robust program in California to try and expand internet access, but we want to make sure that once that access happens, these rural or low-income customers get real access to the internet and aren’t manipulated or forced into only using favored services. A lot of people who oppose the bill say its passage will prevent ISPs from making money. What would you say to those critics? That’s just inaccurate. The ISPs are making money hand over fist through their basic services and entering every other market. These are conglomerates that are in many, many different business lines making enormous amounts of money. All we’re saying is you can’t abuse your role as an ISP to favor your own products over the products of people who are paying you a whole bunch of money over those who can’t. I don’t buy that at all. If you look at the amount of cash that AT&T and Comcast have on hand, the massive share buybacks that they’re doing, the amount they’re investing in their system, they claim that this is going to stop them from investing, and that’s false. After the 2015 FCC order, they kept investing and making future investment plans. I think they make all sorts of alarming claims that are simply untrue. In the hearings to pass the energy committee, AT&T representative Bill Devine said that your bill was “built upon speculation of wrongdoing,” but that feels like he’s saying there shouldn’t be laws against murder because people don’t go around killing other people all the time. Why would he make that argument when it’s such an obvious leap of logic? I like Bill and I respect Bill, but I don’t agree with that statement. Even if these behaviors had never happened, if something can happen, then you protect against it. But the reality is that this kind of behavior has happened many times, and it’s been documented, from the really obvious ones like AT&T blocking FaceTime on the iPhone, to other less spectacular episodes. My office has a list of these abuses, and it’s happened many times. Comcast, AT&T, Verizon, Sprint, etc. have all done it, and that’s exactly why both the 2010 and the 2015 orders happened because they have engaged in this behavior. I don’t know why Bill is saying it’s theoretical, because it’s not theoretical. One thing we’ve learned from your hearings, and the Zuckerberg hearings, is that a lot of older Senators don’t quite understand the way the internet works. How do you deal with having to explain technology to people who don’t have the same understanding that you and people of my generation do? As elected representatives, none of us can be an expert on everything. We bring experts to the hearings - and offer to make them available to my colleagues - so that people can ask questions and resolve any lack of clarity. 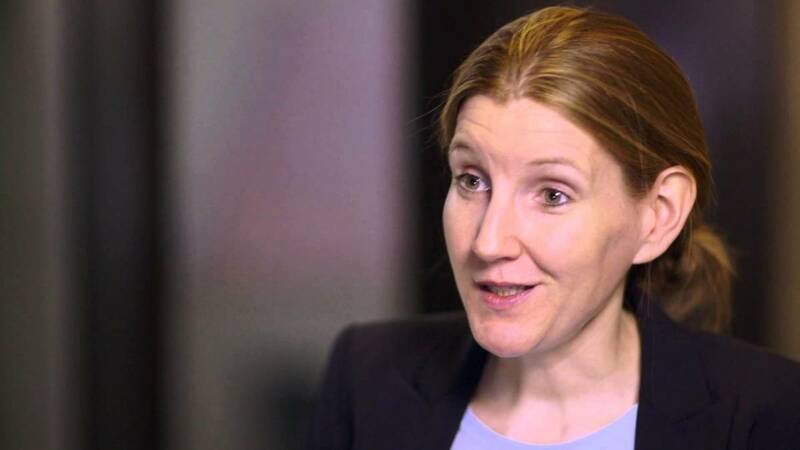 To that point, when did Professor Barbara Van Schewick first get involved? I love reading her writing about the internet and watching her speak about it: it’s so accessible to non-techies like myself. She has been a great resource. We’ve been working with her since early in the year. I don’t remember the exact date. Since we started crafting the precise details of the legislation, we’ve been working with her, and with others as well. How have you kept this bill from being watered down by lobbyists? As with any hard bill, I, as the author, need to work with my colleagues to ensure they understand exactly what we’re doing and why various provisions are important. We’re also working with a variety of advocacy organizations, which ensure members are hearing from their constituents. The major tech companies like Facebook have come under a lot of scrutiny lately, and companies like it and Apple feel like black boxes. Why do you think they lack this transparency? We are going through a transition period now where we have some really important, innovative technology that has changed many things, sometimes for the better and sometimes for the worse. I think in the future, we will see more public scrutiny and regulation of technology that is in the public interest. Of course, we don’t want to over-regulate and stifle innovation, but I think we’re in a period of transition and adjustment, which can be really hard, but it’s also healthy. How have other states responded to the rollback of net neutrality, and what makes your bill different from theirs? Our bill is very comprehensive. Other states we’ve seen have mostly relied on the state’s contracting power. We also have been very specific, and the ISPs claim that we’re going beyond the 2015 order, especially around zero rating and interconnection fees, but that’s not the case. The 2015 order did include both zero rating and interconnection agreements, but the FCC chose to address those issues case-by-case and was actually starting to ramp up enforcement at the time Trump took office and stopped everything. But we have to do things a little differently because we’re not the FCC. We’re still very specific and comprehensive because we really want to solve the problem. 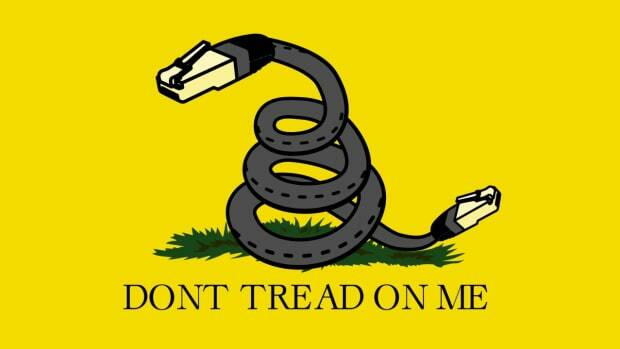 This is not to disparage any other states proposing net neutrality rules. They are all good proposals, but we really want to cover the field. Now, New York state Senator Brad Hoylman, who was my law school classmate, introduced a bill that is almost identical to ours, and we’ve gotten some word that someone in Illinois might do the same thing. Our hope is that more and more states collaborate with us and that people are welcome to share our ideas with other states. 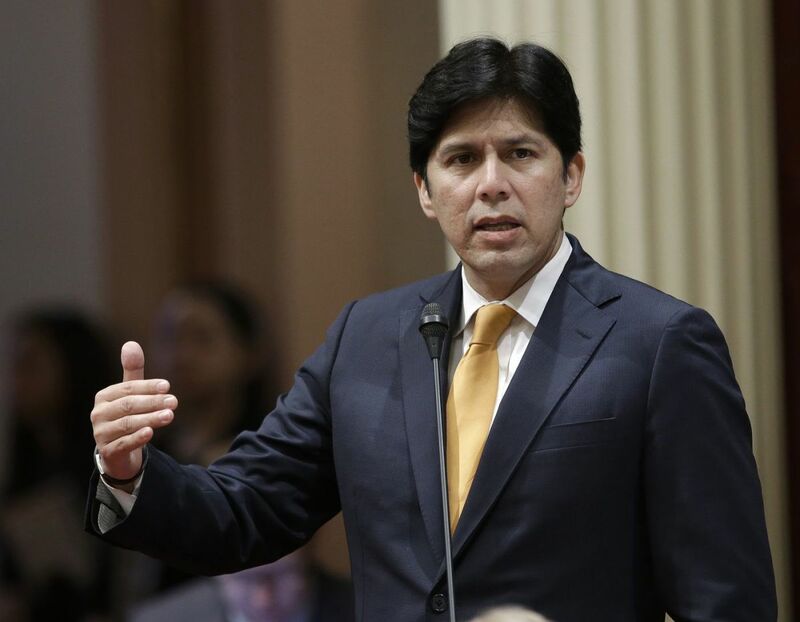 Your colleague Kevin De León has proposed a net neutrality bill of his own. Have you worked with him to coordinate those bills? How is yours different from his? I’ve spoken with Kevin, who obviously has a lot on his plate right now, as he’s running for US Senate, but his staff and mine have spoken in a collaborative way, and we are mutually supportive and will continue to be so. I think our bill includes some provisions that his does not, but I think we are very much on the same page and that we will be able to work through everything. Assuming the bill passes the Senate, what will happen next? If it passes, it would go to the State Assembly after that and have two Assembly policy committee hearings in June. If everything goes well, Governor Jerry Brown would sign it by the end of September, and it would go into effect January 1. Does this mean that change will essentially happen right away, or will it be more gradual before we feel the bill’s effects? Hopefully, it just maintains the 2015 status quo and there won’t be any big problems between now and then. But I do think that the Attorney General, local law enforcement and individuals will have the right to enforce it as of January 1st of next year, so it will be enforceable immediately. If this issue proceeds through states the way gay marriage did how do we make sure each state afford internet users the same protection so internet protections don’t change dramatically from state to state? When you’re forced to regulate state by state - which the FCC has forced us to do - you can’t guarantee complete uniformity. But we are sharing best practices to try to minimize inconsistencies. Last question: do you have plans to run for higher office in the future assuming the opportunity arises? I have no idea what the future holds. I’m enjoying my service in the Senate and will be seeking re-election in a couple of years.